SECOTHERM offers single and multicompartment lumber dryers with service room. 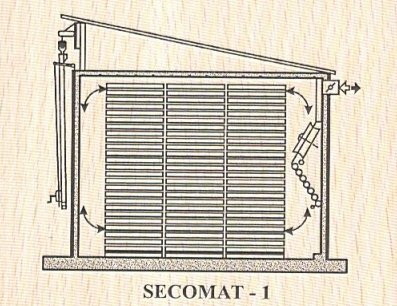 We can offer two types of lumber dryers: SECOMAT-1 and SECOMAT-2 (see the sketches below) with capacity from 5 - 250m3. 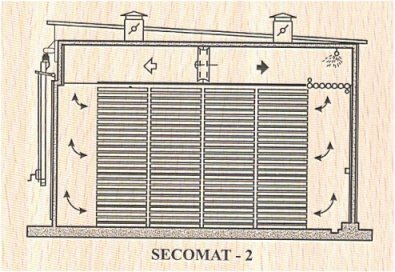 Beside of complete free-standing lumber dry kilns SECOTHERM also furnish complete equipment for existing, modernised or new constructed buildings for drying purposes. Each time an individual offer according to client`s requirements, will be prepared. More precise Informations You will find in TECHNICAL Part.